It’s Monday morning the 10th June today and our OUTSTANDING Ireland golf trip is now sadly over. We all agreed that the courses you laid out and the overall trip planning you did for us made for one of our best trips ever. Each course was unique and challenging in its own fashion. All times and locations worked well. People everywhere were exceptionally friendly and helpful. Ireland, beyond the golf, was a delight. We are already talking about future trips. Pierce, everyone is home safe and sound. The trip was great. Thank you for all your efforts. They had a blast. Thank you for booking a spectacular golf trip for Barbara and me and the Resnicks. Everything turned out so well that Barbara is thinking that a trip to North West Ireland next Summer might be on the cards. Again, thank you for all your help. I am just back from my 5th Ireland trip. Pierce put together a fabulous itinerary with 10 different courses over 11 days. Everything went without a hitch. Hotels were very nice and ready for us. Golf courses were expecting us and had Caddies reserved. Transportation was also excellent and we had a fantastic driver. 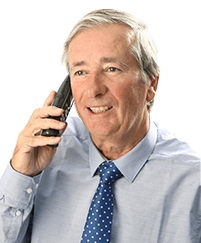 Pierce had by far the best pricing, was always very quick and thorough to respond to anything I needed. I would highly recommend his travel agency. Pierce, everyone was really happy with the trip and the level of service you gave us throughout. You will be getting 12 recommendations from us. My Son Tim and I arrived safely home. We just wanted to thank you again for a fabulous trip. Everything was perfect. The six golf courses and the weather were fantastic, and the tee times you selected were most convenient with sufficient time allowed for travel. The hotels were outstanding. I would recommend your travel agency to anyone interested in a golf trip to Ireland. I hope to return again soon with my Wife. Pierce, we just arrived home after a great trip – thank you. Great trip. Everything was perfect. Anthony our chauffeur was a great guy. Thanks Pierce. Our trip to Ireland was just wonderful, due in large part to your efforts. The hotels and golf courses we played were beautiful and absolutely unique. We will remember our trip to Ireland and relive our experiences often with our three other golfing couples. Your efforts made our trip so completely enjoyable. 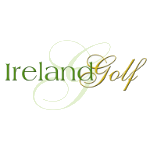 We will certainly recommend you and Ireland Golf Travel to any friends thinking of planning a golf trip to Ireland. Christopher and I had a wonderful time in Ireland and I’d like to thank you for your assistance in setting everything up. Much appreciated.